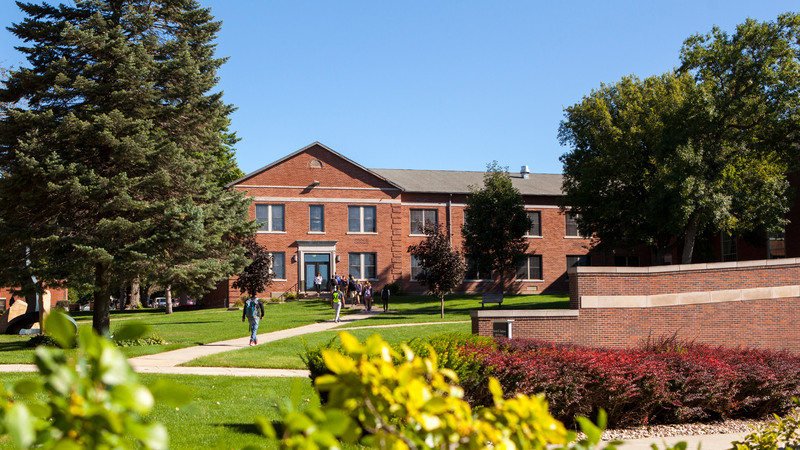 Buena Vista University students are awarded scholarships based on financial aid, academic merit or both. Your support will ensure funding is available to keep a BVU education within reach. Support the BVU general scholarship fund through gifts of any size. Awards are distributed annually to students who demonstrate financial need. Establishing a scholarship at BVU in your name or the name of a loved one is also an option. Create a renewable scholarship at BVU by making an agreed upon cash gift to award to students on an annual basis. Alumni and Development staff can help you define the scholarship criteria that will meet your philanthropic intent. Create a named, endowed scholarship at BVU with a minimum commitment of $25,000 (to be paid in five years or less). Endowed scholarships create a perpetual source of support for students and are initially composed of a large gift which is used to build a permanent fund. A percentage of the gift earnings from the permanent fund are used to award the scholarship each year. This ensures the original gift remains intact, allowing the fund to grow and continue to provide scholarships for generations of BVU students.